Purchase a Rezenerate NanoFacial Tip Package (25) featuring Hale & Hush! If purchased separately this bundle would OVER $423. 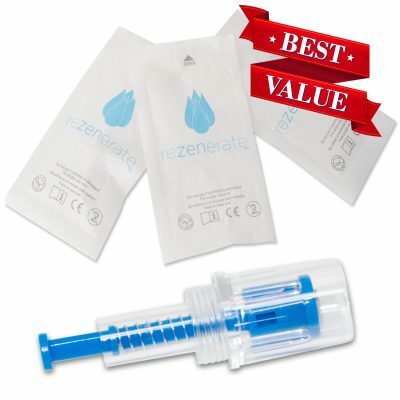 By purchasing these items together you receive a savings of OVER $100! Act now to see the amazing benefits of these two award winning products together. 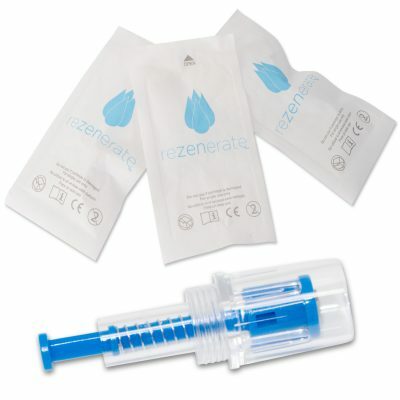 Rezenerate NanoFacial ’25’ Tip Package (25 units): The verified, authentic “Nano-Technology” tip on the Market! With our roots in oncology cosmeceuticals, Hale & Hush is the only professional skincare line to focus exclusively on sensitive skin. Only the finest ingredients are permitted in Hale & Hush products, with dermatology testing conducted on each and every product to ensure suitability for sensitive skin. We select herbs and botanicals over harsher chemicals, incorporating Nutricosmetics (nutritional components and antioxidants) wherever possible. 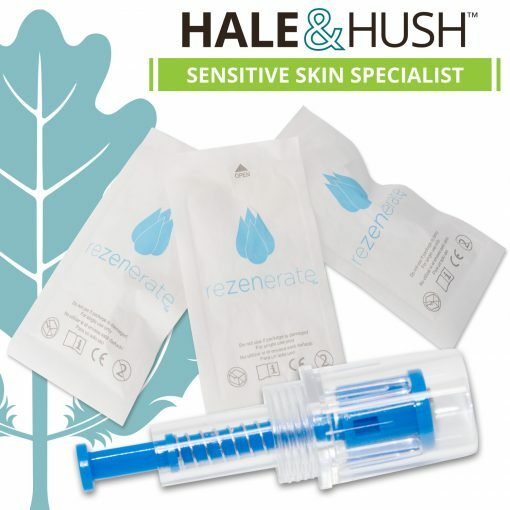 Hale & Hush products are gluten-free, sulfate-free, paraben-free, and fragrance-free or naturally scented. *Promotion scheduled to end on April 30th, 2019. Promotion may end sooner at company’s discretion.